Born in Paris of Czech parents, December 6, 1939, Tomas Svoboda spent the years of World War II in Boston, where he began his musical education on the piano at the age of three. After his family's return to Prague in 1946, he continued his music studies, entering the Prague Conservatory in 1954 as its youngest student. Unable to take formal classes in composition during his first years at the conservatory, Svoboda nevertheless composed his 36 min. SYMPHONY No. 1 (of Nature), Op. 20, at the age of 16. This work was premiered shortly thereafter by the prestigious FOK Prague Symphony Orchestra; Václav Smetáček, conductor. By 1962, after graduating from the Prague Conservatory with degrees in percussion, composition and conducting, numerous performances and radio broadcasts of his music brought wide national recognition to Svoboda, clearly establishing him as Czechoslovakia's most important young composer. In 1964, his family left Czechoslovakia and settled in the United States, where Svoboda enrolled at the Univ. of Southern California in 1966 as a graduate student, graduating with honors. 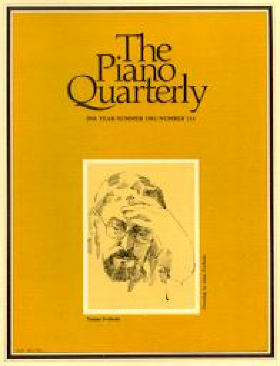 In 1981, first publication of his music brought forth a front cover tribute to Tomas Svoboda by the highly respected Piano Quarterly. In 1985 Svoboda was given the ASCAP Foundation/Meet the Composer Award and was commissioned to write his CHORALE in E flat, for Piano Quintet, Op. 118 for Aaron Copland's 85th birthday celebration in New York. In 1987, national music educators surveyed by The Piano Quarterly, voted Svoboda's CHILDREN'S TREASURE BOX piano series to be among the "40 most important composer collections of the 20th century" for teaching piano. In 2001 the Dayton Philharmonic (Neal Gittleman, cond.) released the first "All-Svoboda" orchestral CD of Svoboda's Piano Concertos 1 & 2 featuring Norman Krieger and Tomas Svoboda. 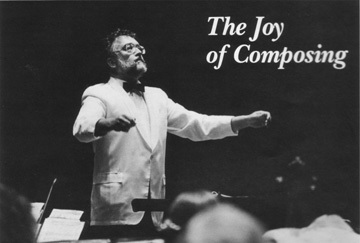 In December 2003, Svoboda's Marimba Concerto was named in a Grammy Award nomination in the category of "Best Instrumental Soloist With Orchestra"; Niel DePonte, marimba; James DePreist, cond. ; Oregon Symphony; [Albany Records]. To date, over 50 of Svoboda's compositions have been recorded, including 8 works from his orchestral catalog. Today, over 1,300 known performances of his music have taken place throughout the world, including 500 orchestral performances, and include such major orchestras as the Boston, Philadelphia, Cleveland, San Francisco, Toronto, Monte-Carlo, Prague, Sapporo, Nagoya, plus the national symphonies of Guatemala and Costa Rica. In the Fall of 2016, the Portland Youth Philharmonic (OR) gave the world premiere of Svoboda's profound Symphony No. 2 (of Love & War), Op. 41; a work originally scheduled for premiere in 1964 with the Czech Philharmonic (Karel Ancerl, cond. ), but cancelled after Svoboda escaped the communist controlled govt. of Czechoslovakia with his father (world renowned computer scientist Antonin Svoboda and mother. On May 30, 2017 the Prague Symphony Orchestra performed his Overture of the Season, Op. 89 at the world-renowned Prague Spring International Music Festival[ Czech Republic]. On Dec. 12th 2012, Tomas Svoboda suffered a massive stroke and continues to recover at a Care Home in Portland, Oregon. Photo: © 1987 Cynthia Stowell/Portland State University; Used by Permission.